It has been a difficult last week for the residents of southeast North Carolina. As you have all seen, Hurricane Florence made landfall just south of Wrightsville Beach early on Friday, September 14 as a Category 1 hurricane. The storm moved at a crawling 6 mph and eventually slowed to 3 mph, thrashing rain and wind ceaselessly on the area for three straight days. 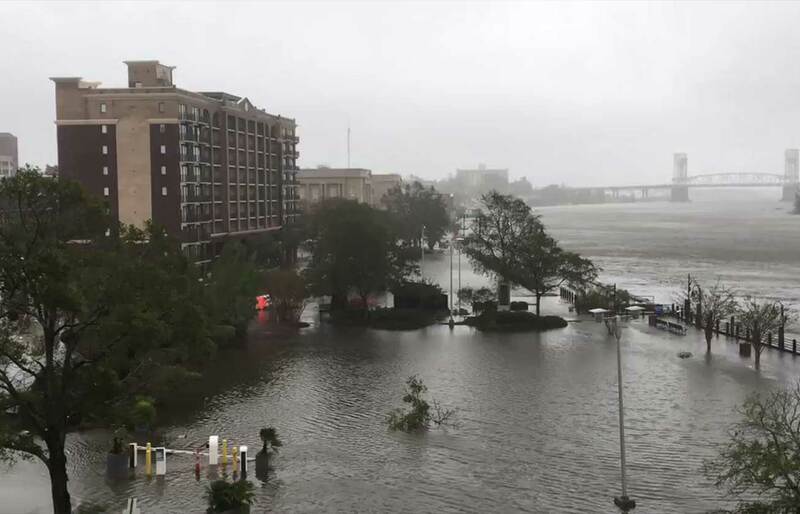 By Sunday, September 16, Wilmington received more rain from the storm than any other single weather event in the city’s history, shattering the previous yearly rainfall record set in 1877. A half a million people lost power and hundreds had to be rescued from floodwaters. Even as I write this post, Wilmington is surrounded by water, neighborhoods are flooded, many trees and power lines are down, gas is scarce, roads are impassible, and power outages are widespread. Gratefully, most of Grace City Church’s core group was able to evacuate Wilmington, including our family and the Beane family (Aaron and I serve alongside each other at GCC). Our families escaped to Charlotte and are doing well here, but we are unsure when we will be able to return due to flood waters that are blocking major highways. A few folks in our group have remained in Wilmington and are doing well, considering the circumstances. Thank you to the many of you who have sent texts, messages, or emails. They have encouraged us and bolstered our faith during this trying time! For Grace City Church, and the many churches in Wilmington, to band together to care for this city. Restoration will be long and slow, so please pray that through it the name of Jesus will be glorified throughout the southeast! Our church has also set up a special relief fund which will be used to meet the temporal needs of our neighbors around us. There will be many, many opportunities to care for people upon our return, including helping with immediate home repairs and purchasing food or gas. Please give generously to this fund! A full report will be compiled and posted on our Facebook page as to how funds are distributed. Thank you for your faithful prayers, encouragement, and generosity. Our hope is Jesus, who commands and calms the storms without and within, and we are filled with anticipation to see how He will use this devastation to build His church in Wilmington! If you want to reach out to Joshua directly, you can email him at joshua@gracecityilm.org.